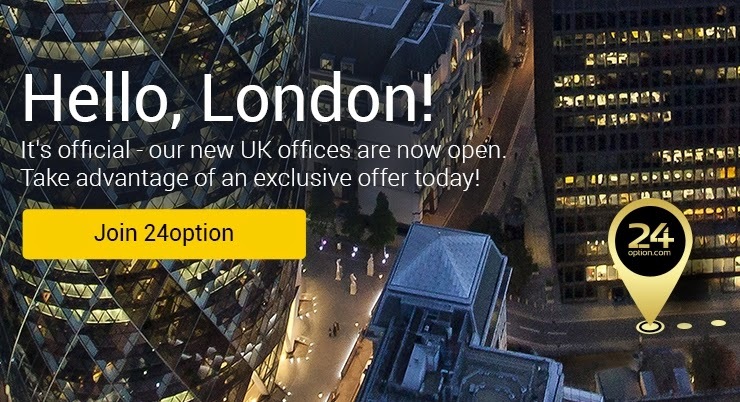 24option mark the opening of its new London office at 99 Bishopsgate with a London Taxis city-wide advertising campaign . Hundreds of London taxis have taken to the streets emblazoned with 24option branding, and will be seen around the centre of London and London City for the next few months. 24option has stood out as a top broker since its inception in 2010 by offering an incomparable trading experience with a multi-lingual customer service department, an esteemed education centre, the widest array of global assets, and an intuitive trading platform. Offering its traders a customer-first interaction and lucrative, easy-to-use trading solutions, 24option firmly confirms its # 1 positioning. 24option is a leading EU Binary Options broker, offering traders some of the highest returns on investments in the industry.24option are a multi award-winning broker, recently voted Best Binary Option Broker at the prestigious Forex Magnates Summit and at the MENA Forex Dubai 2015. The campaign was brokered by Sports Media Gaming.